This is a painting of the Great Mother Gaia who , according to the ancient Greeks, birthed herself and then went on to create all that is. Gaia, who is a living entity our planet. Gaia who emerged from Chaos and who perhaps now sees us on a rapid path of self destruction and a return to chaos. I think Gaia will heal herself despite the damage we fleas of humans inflict. What a wonderful painting! 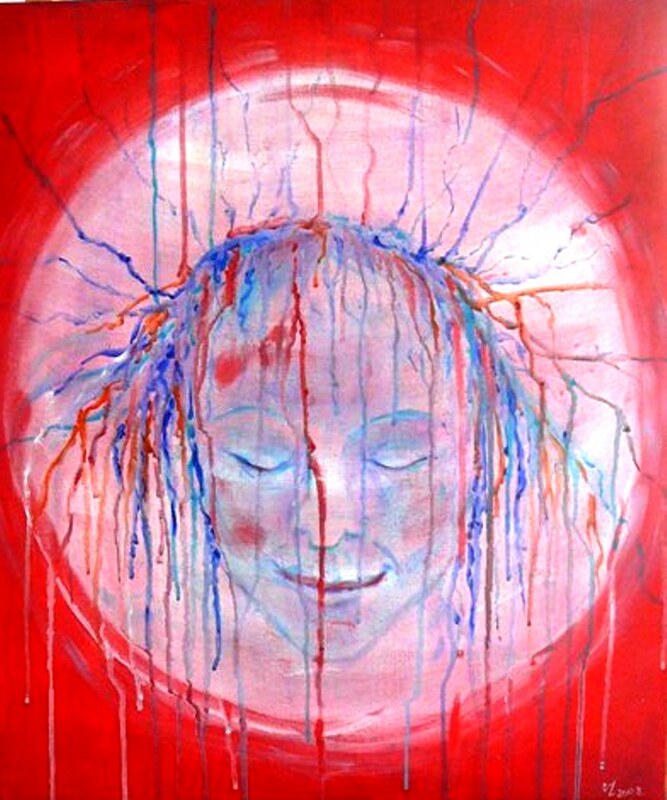 The drips of red make me think of blood and birth, the delicate blue and red lines like veins and the white like a womb: the goddess who gives birth to all life. Thank you for sharing this lovely painting with us!